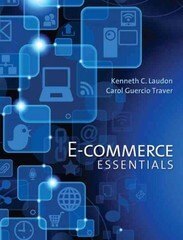 E-Commerce Essentials 1 Edition Based on the authors' market-leading E-Commerce. Business. Technology. Society., this brief book offers the same thought-provoking and current content but in a brief format. E-Commerce Essentials emphasizes the three major driving forces behind E-commerce—technology change, business development, and social issues—to provide a coherent conceptual framework for understanding the field.